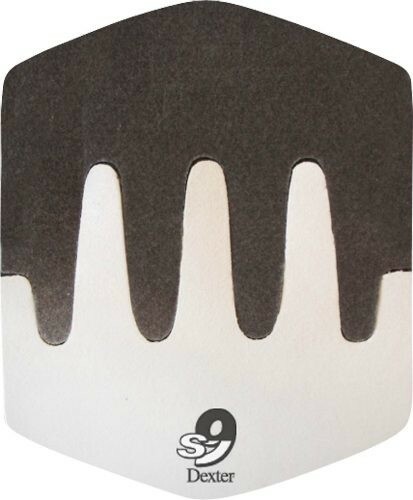 This Dexter SST S9 soles will give the bowler the maximum slide and is recommended for tacky approaches. The Dexter SST patented VELCRO system allows the bowler to easily change their shoes sliding sole and heel, so the bowler can have the perfect slide each game at any alley! Approach: Recommended for tacky approaches. Hello! Unfortunately Dexter slide soles will not fit on Storm shoes. Hello Tom. Unfortunately, the Dexter soles will not work for Brunswick shoes. You can either use the Brunswick brand replacement soles or KR Strikeforce brand replacement soles. KR Strikeforce currently manufactures Brunswick soles. I have an old pair of Dexter IV shoes. This sole says compatible with all Dexter SST 5, 6, 7, & 8 shoes. Will these work with my IV's? The T5 sole will work for the SST 8 shoes but not THE 9 soles. Those are only made for THE 9s. Due to the time it takes to produce the Dexter SST Saw Tooth S9 Slide Sole ball it will ship in immediately. We cannot ship this ball outside the United States.